The new Mark Todd fly ultra combo is constructed from a soft, tight weave mesh designed to provide the ultimate protection against flies and bugs for your horse. The belly flap with elastic straps offers total freedom of movement whilst retaining the important close fit needed for more serious fly and midge problems such as sweet itch. A clever stretchy gusset inserted between the rug and neck cover keeps the horse comfortable when grazing and helps to prevent rubs by allowing free movement for the horse. Below are some recent questions we've received regarding Mark Todd Fly Ultra Combo Rug, including answers from our team. Please can you tell me what type of fastening is at the front of this rug? 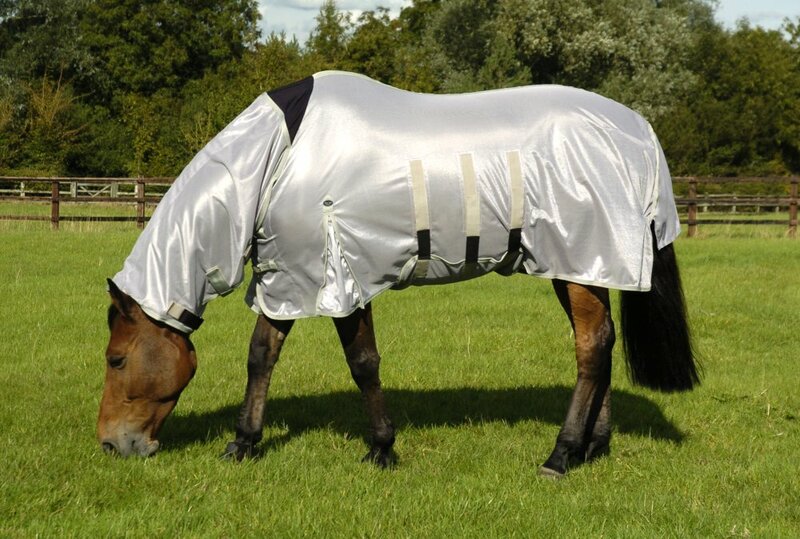 Similarly to the HY Guardian rug, this fly rug has standard buckle fastenings on the horse's chest and the neck is secured with velcro fastenings.